When I saw the Consumer Reports article a few weeks ago about them finding high levels of arsenic in rice, my first thought was, “surely they were wrong!” However, after researching it a little further, all of the evidence points to the sad truth that one of our cheapest, quickest, and most popular grains to eat and prepare may be dangerous. Rinse your rice thoroughly. The FDA cites several studies indicating that "thoroughly rinsing rice until the water is clear (four to six changes of water) reduced the total arsenic content by up to approximately 25-30 percent." Check your municipal water report. "Make sure your local water supply does not have high levels of arsenic," says John Duxbury of Cornell University, who studies arsenic and rice. "If you do have high levels, washing can make it worse. But if you are under 10 parts per billion, it should help." Cook and drain your rice sort of like pasta. "We say to use about 6 parts water to 1 part rice," says Michael Hansen, a senior staff scientist at Consumer Reports. "And then drain off the water after it's done." The FDA says that studies show rinsing and cooking in excess water can reduce total arsenic levels by 50 to 60 percent. "However, it should be noted that for enriched rice, rinsing will also likely reduce the amount of added nutrients," the agency said. Choose aromatic rices. For those who are already fans of Indian basmati or Thai jasmine rices, the news is not so bad. According to the hundreds of recently released test results, aromatic rice varieties show the lowest levels of inorganic arsenic. 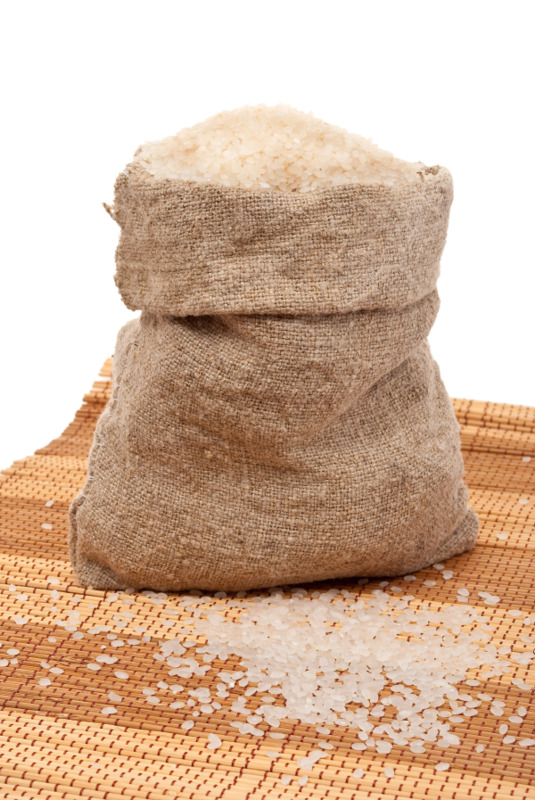 Imported basmati and jasmine rices showed about half to one-eighth the level of arsenic as regular rices grown in the Southern U.S. Consider limiting brown rice consumption. From a nutritional and fiber standpoint, brown rice is tops, but because its bran remains intact it can also hold on to higher levels of arsenic, according to test results. Are the nutritional benefits worth the arsenic load? Hard to say at this point. But some test results indicate that brown rice from California and India have [sic] much lower levels of arsenic than brown rice from Southern U.S. states. For now, they may be the best choice. Choose California. Of the domestic rices tested by Consumer Reports, California rices had lower levels of arsenic than those in other states. FDA rice results also indicated that some U.S. rice had lower levels of arsenic, but the data it released to the public did not specify states of origin. Be careful when feeding babies rice cereal and rice milk. Illinois Attorney General Lisa Madigan's office conducted tests of rice cereals for babies that she announced all contained inorganic arsenic. Gerber recently released a statement announcing it now sources its baby cereal rice only from California. Still Consumer Reports advises that children do not drink rice milk and that infant rice cereal (1/4 cup) be served no more than once a day. Hopefully by following some of these tips and suggestions, we can all feel more confident in consuming this tasty whole grain. More research is currently being done on this topic, so until the conclusion is released, try to rotate other whole grains such as quinoa, barley, couscous, and whole-wheat pasta into your diet and choose rice less often.